Ernest McGhee, age 88 longtime New Haven resident passed on peacefully on June 28, 2018 in the Eldorado Nursing and Rehab. Ernie as most knew him was born in Maunie, IL on February 5, 1930 to the late George and Ivy Jean (Martin) McGhee. On June 25, 1955 he married Dorothy (Pettyjohn) McGhee who survives. Ernie worked many years at B & W in Mt. 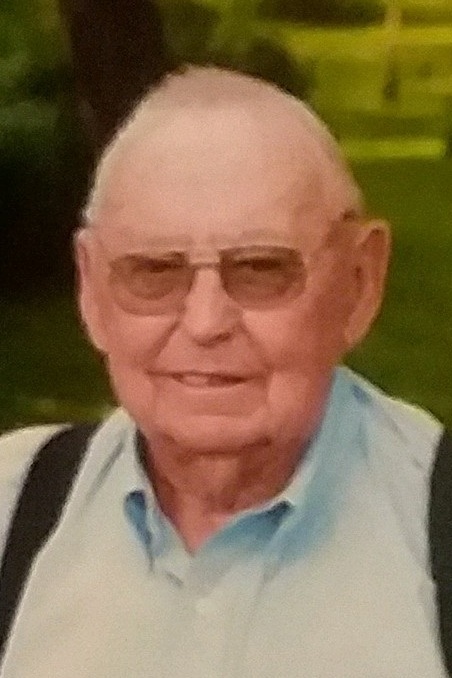 Vernon, IN and then worked for about 25 years as an Operator for a Grain Elevator before retiring. He served his country in the US Army and was Korean War Veteran. He loved to garden, fish and especially deer hunt. Ernie always had a smile for you and loved to visit with his family and friends. He will be missed by many. Ernie is survived by his wife, Dorothy, a daughter, Janice (Denny) Abell of Ridgway, a son in law, Glendal Steele of New Haven, grandchildren, Joe (Katie) Abell of Ridgway, Chris (Laura) Steele of New Haven, Shaun (Paige) Steele of Oklahoma, and Carrie (Hunter) Young of Eldorado, Great Grandchildren, Elizabeth and Will Abell, Casen and Emersyn Steele and Evelyn Young. A brother, Arthur (Leveda) McGhee and was preceded in death by 2 daughters, Sharon McGhee and Glenda Steele, a grandson, Wesley Abell, and siblings, Frank McGhee and Evelyn Hastie. Visitation for Ernie will be on Monday, July 2, 2018 at the Cox & Son Funeral Home in New Haven, IL from 11:00 AM to 1:00 PM. A graveside service will immediately follow at the Union Ridge Cemetery near New Haven. Military rites will be accorded at this grave.